Hi lovelies! 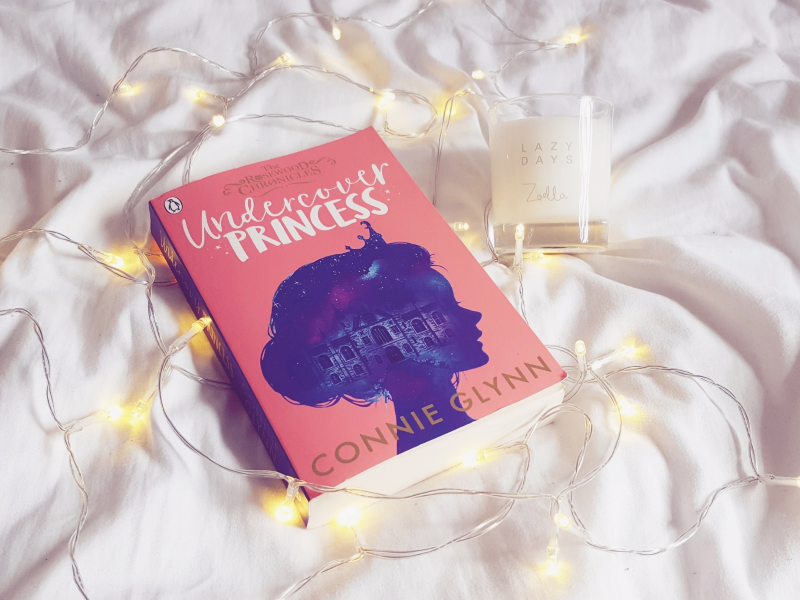 The lovely Mandy from Mandy Jean World and I have teamed up to share some "get ready" routines based on some of our favourite Disney Princesses! 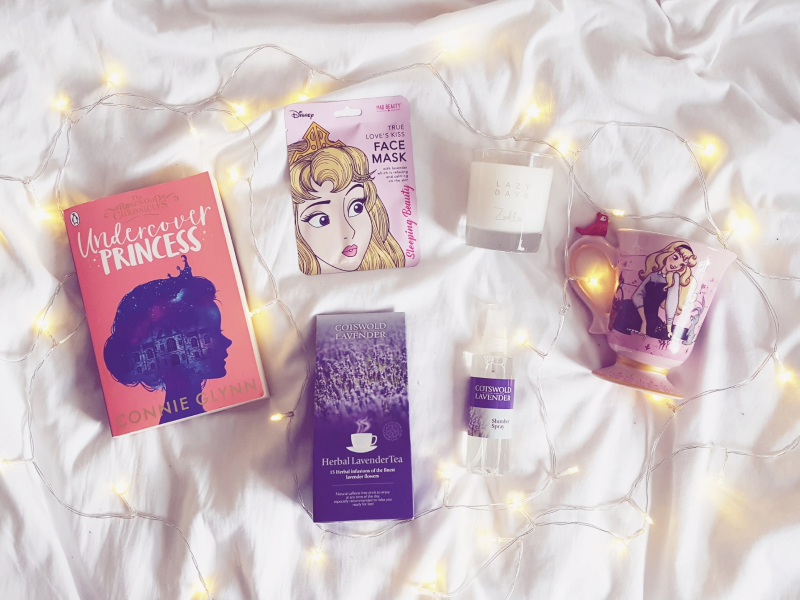 As Aurora is the Queen of beauty sleep I thought I'd share some tips on how to prepare for a night's sleep that even Sleeping Beauty herself would be jealous of! Last year I started my current shifts at work where I have to be in work for 7 in the morning (sometimes 6!) so that means I really had to get my sleep routine down in the evening. I haven't quite managed to stick to this yet, but when I do it really works wonders so I hope this helps anyone who's struggling with sleep at the moment! Nothing helps me relax in the evenings like a lil' pampering! I'm obsessed with face masks at the moment as they're a fairly low-maintenance way to boost your skin. 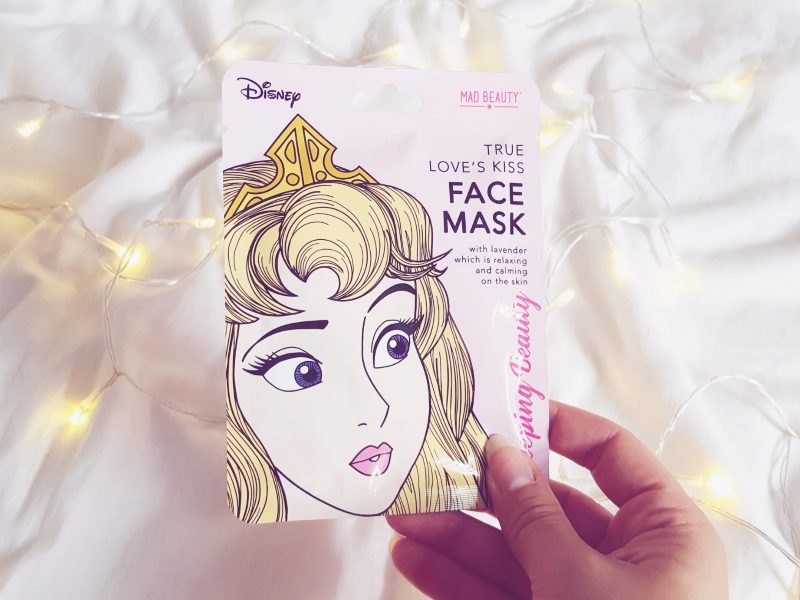 My next one to try out is this Sleeping Beauty-themed one from Mad Beauty and I can't wait to give it a go! 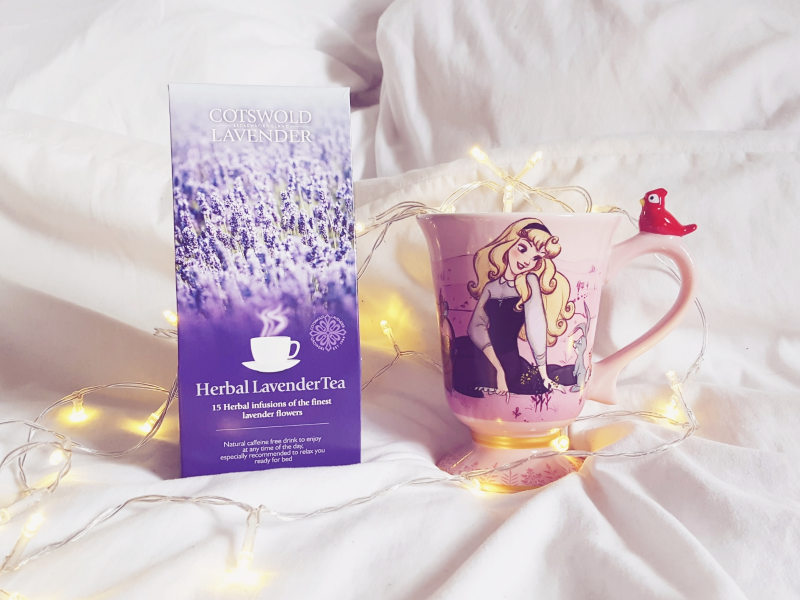 There are lots of different teas out there that can aid sleep but my current favourite is lavender tea. As well as being caffeine-free, lavender helps reduce anxiety so it's perfect to help you wind-down before bed. If it's cold outside I have it hot but if it's warm night I brew it in a little hot water which I then top up with cold water and ice so you can have it all year round! You've probably heard this a million times over but electronic devices really do disrupt sleep so I try to set my alarms and then put my phone away about an hour before I go to sleep. If you can, set up a "do not disturb" setting on your phone so you don't get any notifications going off overnight and waking you up! Next I settle down with a good book. I remember reading a statistic somewhere that just 5 minutes of reading helps you to de-stress so I always try to read even just a little before bedtime as it puts me in a much better mindframe for sleep. I usually read with a candle burning and the window open and it's so relaxing! It's finally sleep time! 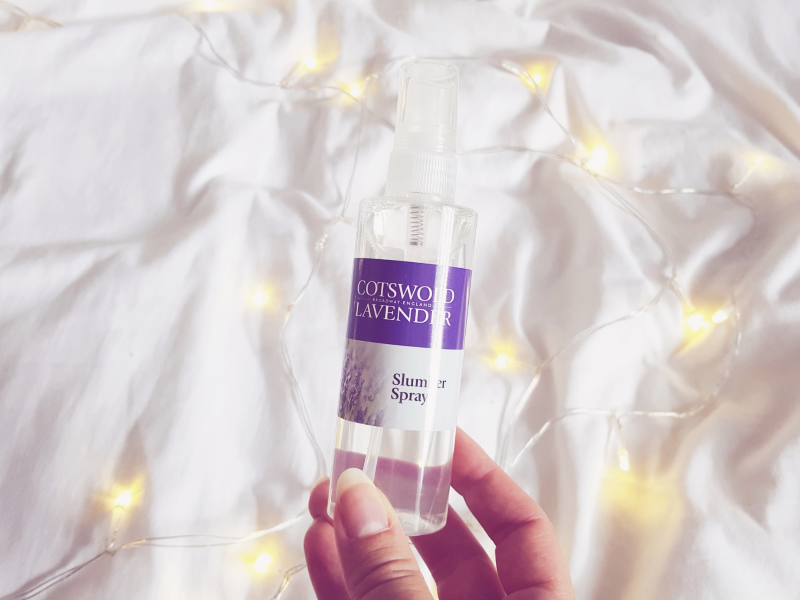 Unfortunately I have anxiety and it often bubbles up when I'm trying to sleep so if I find my mind is still racing then I give my pillow a good spritz with a lavender spray. Both my boyfriend and I swear by this stuff as it's such a soothing, calming scent! This Works Deep Sleep Pillow Spray also works wonders but any lavender spray should have the same effect. I really hope this helps anyone who's been having trouble with their sleep recently! Let me know if you think I've missed anything that works for you, I need all the help I can get with sleep...! Remember to check out Mandy's Princess-perfect Rapunzel makeup tutorial!